Destroying over 4,000 seized items from 48 species sends powerful message to traffickers. As part of international events to mark World Biodiversity Day 2017, the Government of Nepal yesterday (Monday 22 May) hosted a public burning of its stockpile of confiscated wildlife products, sending a powerful message to those fuelling the illegal trade which is threatening the country's most iconic wildlife. Putting more than 4,000 seized items from 48 species beyond economic use, including rhino horn and tiger parts, the Nepalese government demonstrated its stance against the black-market industry, much of it driven by foreign demand for traditional medicine. Coordinated by international conservation charity ZSL (Zoological Society of London), alongside a number of non-governmental organisation partners, the burn was hosted by Nepal’s Ministry of Forests and Soil Conservation, Department of National Parks and Wildlife Conservation, and Department of Forest, and took place in front of an audience of nearly 300 people in Chitwan National Park. The inventory of illegally-trafficked wildlife products destroyed in the burn included 67 tiger skins, 357 rhino horns and two sacks of pangolin scales, as well as hides from species including red panda (Ailurus fulgens), clouded leopard (Neofilis nebulosa) and snow leopard (Panthera uncia). Other items included 418 skins from the common leopard (Panthera pardus), 354 elephant tails and 15 bear gallbladders. With support from the British Embassy in Kathmandu, ZSL worked with local government partners to ensure all items were securely transported and catalogued prior to destruction, in line with international protocols from CITES (Convention on Illegal Trade of Endangered Species of Wild Flora and Fauna). 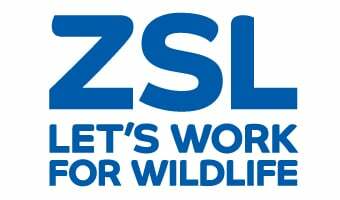 ZSL is working in Nepal to protect threatened species such as the greater one-horned rhino (Rhinoceros unicornis) and Bengal tiger (Panthera tigris tigris) – which are on the verge of extinction due to the impacts of a growing human population and poaching – as well as the country’s two indigenous species of pangolin, the world’s most heavily-trafficked wild mammal.